Stephan Baby began in 1987 as Stephan Enterprises when Jan Stephan, who was working as an independent gift rep, designed a child-friendly comforting toy in the shape of a bunny. Using washcloths purchased from K-Mart, she made the bunnies in her living room and then sold them by the dozen in a basket to gift stores she called upon. The Boo-Bunnie® Comfort Toy was born! This durable little plush bunny features a reusable ice cube filled with distilled water that fits securely in the bunny’ back. When stored in the freezer or fridge and used to comfort a child’s minor boo-boo, tears really do disappear by cooling the hurt area and distracting attention away from the child’s boo-boo. In a matter of minutes, little ones are calm and happy. The company quickly grew to include more than 500 unique, heartwarming gifts which focus on Baby’s first year. Our 30-year-old flagship item, the Boo-Bunnie® Comfort Toy, continues to be a top seller and has been the recipient of many awards over the years. It is available in many apparel and specialty gift stores, hospital gift shops, at www.stephanbaby.net and on Amazon. 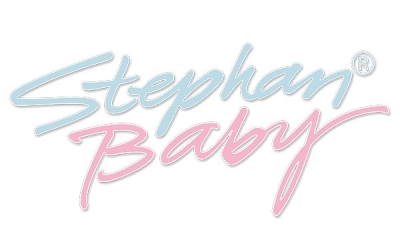 Contact us with general questions at: stephan@stephanbaby.net. You can also find us on Facebook, Instagram, Twitter, and Pinterest! Our normal hours of operation are Monday-Friday from 8:00am to 5:00 pm EST.